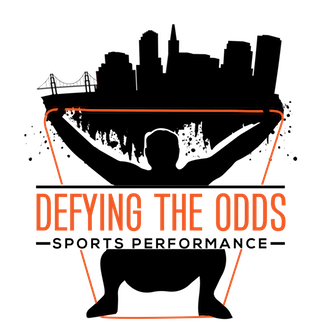 Defying the Odds Sports Performance provides two youth fitness and athletic training programs. The first program is open to teens of all ages and skill levels, and is carefully designed to relieve daily stress, build self-esteem, and practice values and skills transferable to success at school and work. Our second program is open to teen athletes with a strong desire to gain a competitive edge, including high school athletes seeking college scholarships and, potentially, a professional sports contract. By combining state-of-the-art Resistance Band training, nutritional health education, hard-earned wisdom and positive reinforcement, we cultivate growth in and outside the gym. 100% of our students benefit regardless of skill! Love and hard-earned experience become our tools for growth. Our students find acceptance, wisdom and success alongside positive adults. We are a healthy alternative to the streets, and for competitive athletes, a pathway to peak performance. The power of Resistance Band training. At Defying the Odds Sports Performance, we start with state-of-the-art “Resistance Band” training to build fundamental strength, agility and endurance. It is safe, efficient and fun. I. Sports Performance for Athletes. Open to skilled youth with a strong desire to improve competitive performance. Intensive training for college-bound high school seniors and competitive teens of all ages. Personalized state-of-the-art Resistance Band training to increase fundamental strength, agility and endurance. Personalized drills to enhance specific skills, e.g., dribbling, passing and shooting in basketball, or batting, catching and throwing in baseball. Advanced mental training to achieve optimal weight management, concentration and confidence. Comprehensive approach from injury prevention to peak performance. Open to teens of all ages and skill levels. A safe, inclusive approach using fitness training as a pathway to positive change, enhanced self-esteem and increased self-discipline. Focused on unconditional acceptance and positive reinforcement enhancing transferable stress management, problem-solving, conflict resolution and interpersonal skills. A positive alternative to the streets, in which students’ success in training can translate to success at school and work.